Security Electric is proud to be a certified dealer for Cummins Onan standby generators. 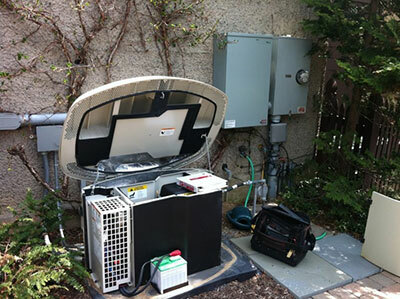 Of course, as certified generator specialists, we’re also one call away should you ever have any problems. Whether we installed your standby generator or if you purc hased your generator elsewhere, we’re happy to come out for routine maintenance or full-service repair. Contact Security Electric Today! Stay Plugged-In At Home – At Work – On The Move! Be Prepared this time! You simply can’t beat a standby generator for the safety and comfort of your home or business needs. Serving all of Southwest Florida from Marco Island north to Pt Charlotte, Security Electric is here to help you keep the power on when you need it the most. To receive a comprehensive estimate of your standby generator needs complete our online request form. For the fastest response please call our main Ft Myers office at (239) 433-0939.